Chances are that at least one of your applications will need a database and this article shows you how to create a new one. The databases you create through Caylent are deployed to Amazon's Relational Database Service (RDS) and are attached to your Stack. Once deployed, the attached databases are available to your applications. 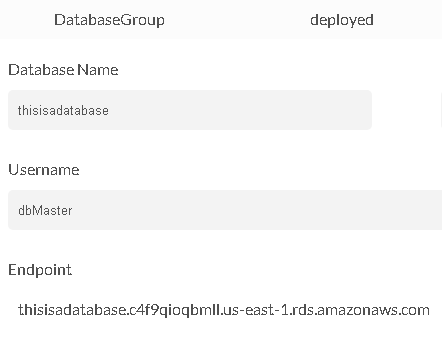 Please note: Only AWS stacks currently support databases. 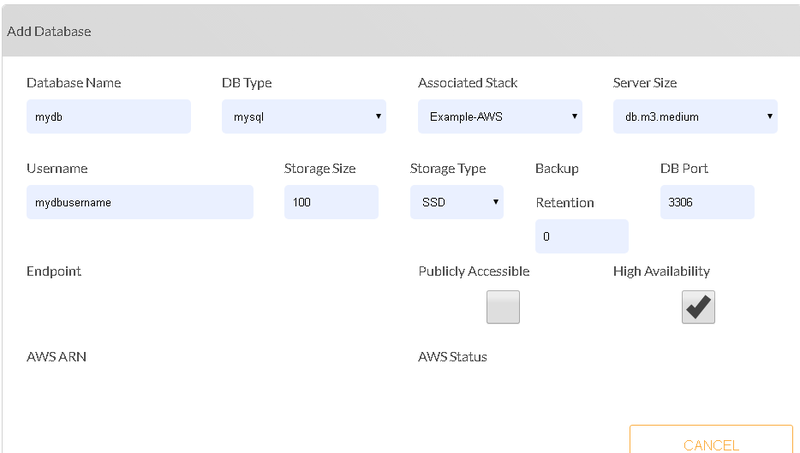 Before you begin, be sure that you've completed the steps in Connect Amazon Web Services. We also recommend you read Deploy Your First Stack. This article assumes you already know the basics of Stack creation. Databases can be added to any un-deployed Stack. If you add a database to a deployed Stack, the database will not be created until the Stack is re-launched. From the Stacks dashboard, click on the Stack you'd like to create a database for. This brings up the Stack console. Navigate to the 'Services' tab and click 'Add' beneath Databases. Next, specify the properties your database needs. Click 'Save' once finished. Databases are automatically created when the Stack they are attached to is deployed. This screen gives you a list of all Stack endpoints and IP addresses, including databases. Scroll to the bottom of the list and click 'Show Properties' next to DatabaseGroup. You will be able to see the database endpoint here. Now that we've covered how to create and deploy a database, we suggest you explore how to setup environment variables.